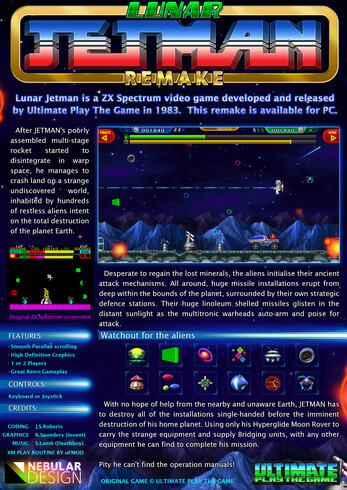 Lunar Jetman re-make is a re-imaging of the ZX Spectrum classic game 'Lunar Jetman' which was originally produced by 'Ultimate Play The Game' (later known as 'Rare'). It’s a very fast paced game which is quite unforgiving and can be described as being brutal, but then again so was the original. 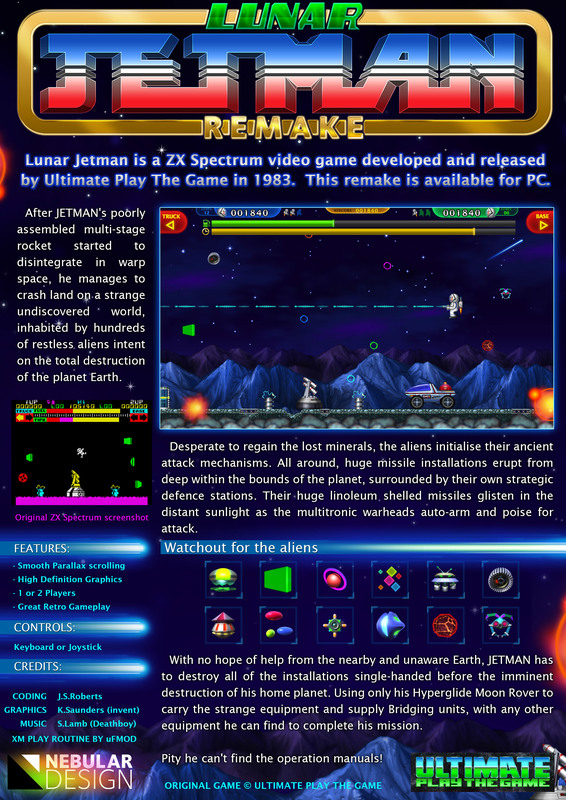 The aim of the game is to protect Jetman's rover from the alien base. 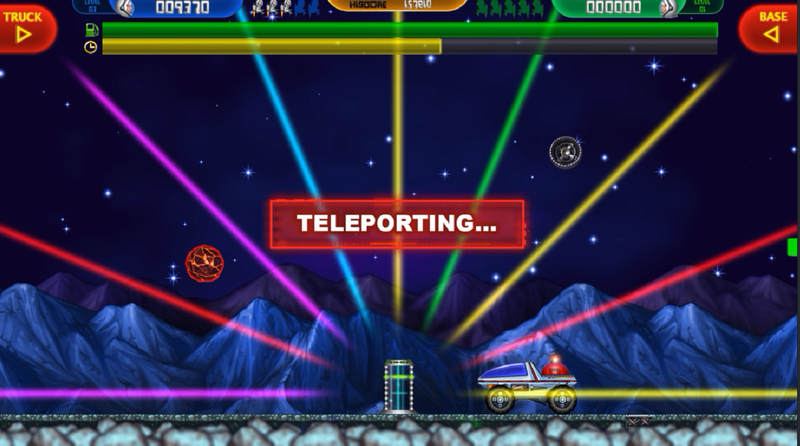 The alien base will launch a missile in order to destroy the rover once a countdown timer has expired. 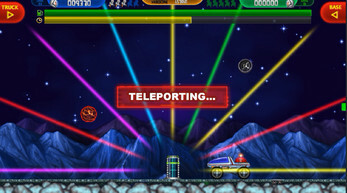 To destroy the alien base Jetman will have to travel to the alien base and drop a bomb (which spawns by the rover) on it. Each time the base is destroyed a new wave begins. 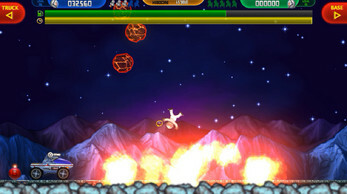 Each wave will become gradually more challenging and also introduce new enemies. If the timer runs out before the base is destroyed and the missile is launched it is still possible to save the rover. 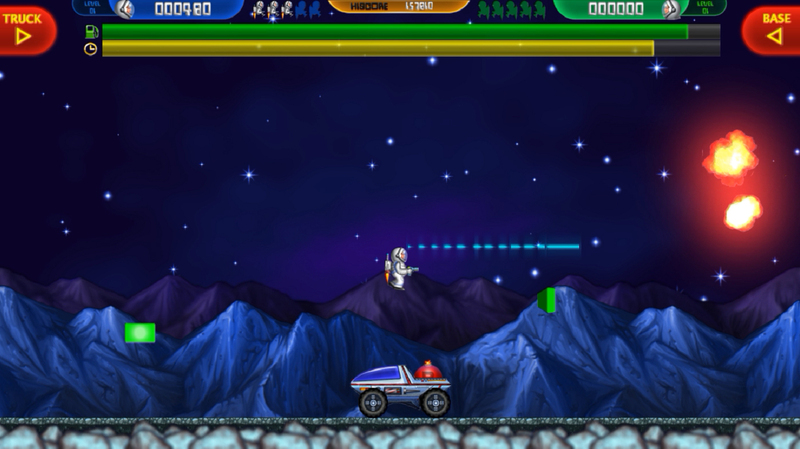 In order to do this the missile will need to be shot down or blocked from hitting the rover by sacrificing a life. 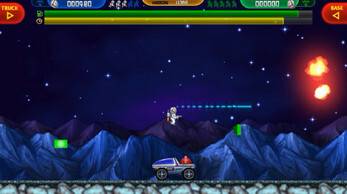 When Jetman is inside the rover he is invulnerable to everything other than the alien missile and the alien base defence towers. The rover cannot travel over holes in the terrain and any holes encountered will need to be repaired in order to take the rover any further. Jetman can alternatively carry the bomb to the alien base himself but that can be very dangerous due to limited jetpack fuel and also the possibility of encountering any enemies. If time is running out this can however be the only viable option. Bridging gaps in the terrain can be achieved by collecting a bridge section from the rover and placing them over the gaps. Bridge sections can be collected from the rover by standing in front of the rovers rear wheel and pressing the pick-up button. The rover can be used to carry the bomb to the alien base in safety. It can also be equipped with a blaster to shoot enemies. To place the bomb on the rover it needs to be dropped onto the flat rear section of the rover. 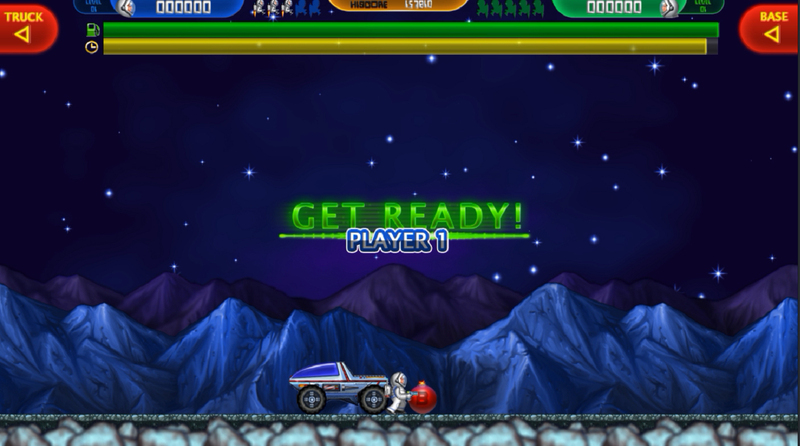 To pick up the bomb once it has been attached to the rover make sure that Jetman is flying when the pick-up button is pressed otherwise a bridge section can easily picked up by mistake. Game controls are fully customisable and even include touch screen controls. It is however definitely best played with a joypad. Minimum system requirements: Windows 7 or greater with a DirectX 11 compatible graphics card.